Even as the Indigenous People of Biafra (IPOB) all over the world warms up for another one-of-a-kind protest that promises to shake the world on 23rd September 2016, the campaign to free the IPOB leader appears to have taken another dimension as Civil Liberty Organizations has written and sent an international justice appeal, mounting pressure on the United Nation’s General Assembly and other World leaders for Kanu’s release. The continued illegal detention of Nnamdi Kanu despite meeting his bail conditions on previous court pronouncements, is another matter constituting an affront on the rights to justice in Nigeria and an abuse of powers of the presidency. It was against this sordid backdrop and unequalled gross violation of human rights that Human Rights activists have hinged their support behind the call to free the IPOB leader, alerting the United Nations to wade into the situation before it skyrockets to an untameable height. 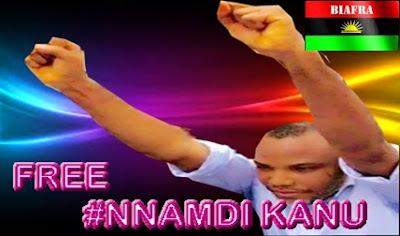 With particular emphasis laid on the ongoing persecution of Nnamdi Kanu and other pro-Biafra agitators who are victims of regime atrocities by the Nigerian presidency, the human rights group further pressed for his release, adding that Nnamdi Kanu is not facing trial in any known court in Nigeria since his arrest last year October, as no formal judicial examination of evidence and determination of legal claims in an adversary proceeding has been witnessed so far in his trial at the Federal High Court sitting in Abuja. They further described the circumstances under which the IPOB leader is being held as “unlawful, illegal, unconstitutional and an aberration to modern international human rights and justice norms”, insisting that IPOB and Radio Biafra which Kanu leads earned their registration and recognition on account of their non-violence disposition and in accordance with the UN mandate or principles. It also submitted that since the illegal arrest and detention of the Biafran activist eleven months ago, he has been treated less than a human, faulting the charges levelled against him as being a phantom and trumped up charges. The statement read in part, “Mr. Nnamdi Kanu who has been detained for eleven months having been arrested on the 14th of October, 2015 by Nigeria’s Secret Police, the Department of State Security, DSS, is being treated sub-humanly by the Presidency of Mr. Muhammadu Buhari. 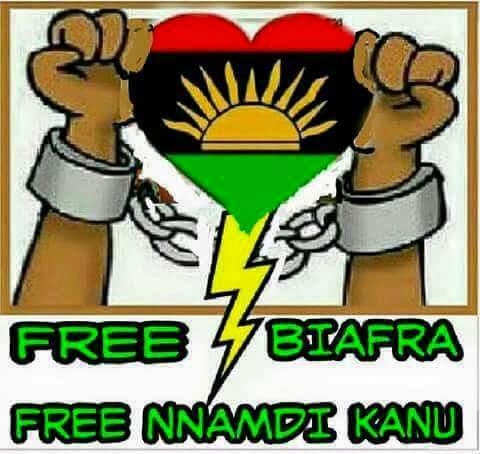 Also, in a similar development, another coalition of human rights activists under the auspices of Centre for Human Rights and Social Justice (CHRSJ) has thrown its weight behind the proposed protest slated to hold this week Friday by IPOB against the continued incarceration of Nnamdi Kanu. The group who has lent their voice for Kanu’s immediate and unconditional release said that all these while, his detention was illegal and unconstitutional and must be stopped at all costs. The Coordinating leader of the coalition, Comrade Adeniyi Alimi Suleiman, declared their total support for the proposed peaceful protest to be embarked upon by IPOB to pressurize for the unconditional release of the Radio Biafra Director from the illegal custody of the federal government. The group numbering up to 16, condemned in strong terms the illegal continued detention of Nnamdi Kanu, which it noted was against the principles of democracy that gives the citizens freedom to assemble and express their opinion without hindrance, calling on all lovers of democracy in Nigeria and Diaspora to guide against using brute force of despotic days of military era on innocent citizens of the country by Buhari’s government, describing the upcoming protest as a welcome development in a right direction. It should also be noted that barely a week to his scheduled address to the 71st regular session of the United Nation’s General Assembly in New York, an Abuja-based human rights advocacy group, Opinion Nigeria, has written the global body, accusing President Buhari of complicity and inaction in the face of series of human rights violation in Nigeria. The petition was specifically addressed to the United Nations Special Rapporteur on the situation of Human Rights Defenders, Michael Forst. MUST READ: BIAFRA: KABIRU SOKOTO’S RELEASE -A MANIFEST PROOF OF BUHARI’S UNDYING LOVE FOR BOKO HARAM. Meanwhile, leading to the build-up of the Free Nnamdi Kanu Campaign, Biafrans in the diaspora appears to be in a high spirit as they geared up towards participating in the global activity and putting finishing touches on their preparation. IPOB, as gathered, will be releasing their newest demonstration arsenal in over 90 countries of the world which is said to include a significant releasing of Biafran coloured birds, wearing of a customized Free Nnamdi Kanu Campaign T-shirts and many other things in the offing as the campaign progresses.